Ace Translator employs the power of Internet machine language translation engines, and enables you to easily translate Web contents, letters, chat, and emails between major International languages. Ace Translator now supports 81 languages, and with text-to-speech (TTS) support for 45 languages, which makes it an ideal language learning app as well. How to use it to do translation works? Here is the instruction. 2. Start Ace Translator by double clicking its icon. 3. Enter the contents you want to translate to the upper zone, and choose which language it is. 4. Choose the target translation language on the upper zone. 5. Click the “Translate” button on the right bottom. 6. 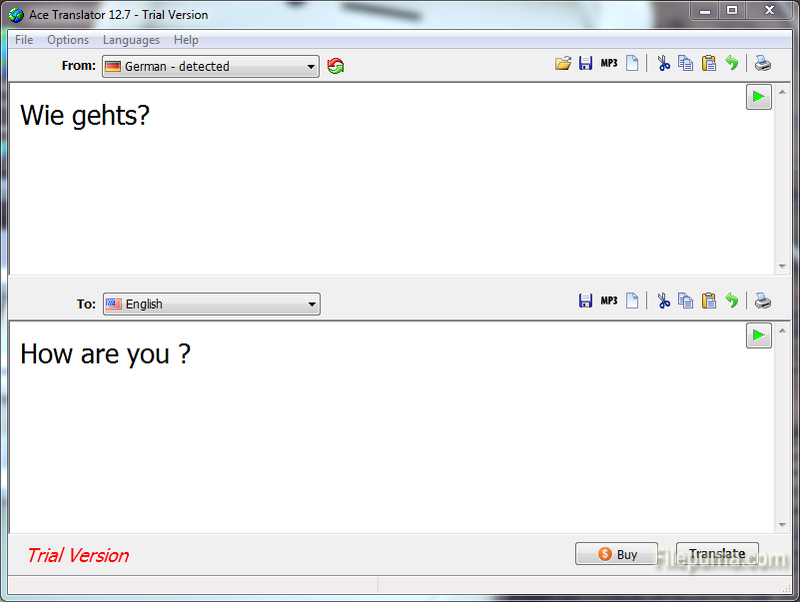 Wait for a moment and then you could get the translation answers.